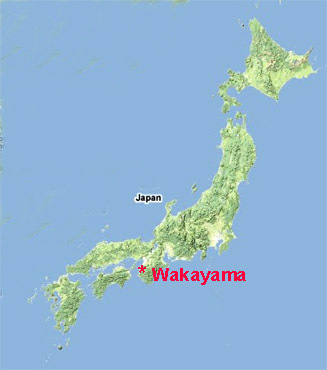 Bakersfield’s affiliation with Wakayama, Japan officially began when the Bakersfield City Council adopted Resolution 81-61 on August 21, 1961, establishing a friendship with the City of Wakayama, Japan. This action was shortly followed by Bakersfield Mayor Gene Winer appointing a People-to-People Steering Committee to oversee the Bakersfield-Wakayama Sister City relationship. Later, the Bakersfield Sister City Project Corpo-ration was created. Very soon Bakersfield officials and citizens were traveling to our new Sister City, where they were overwhelmed by the friendly reception. In return, delegations from Wakayama began to visit Bakersfield, forming lasting friendships that continue to the present day. Over the years, every Mayor of Bakersfield since 1964 has visited Wakayama, while very Mayor of Wakayama has visited Bakersfield. In addition, city council members and other civic officials from both cities have participated in a valuable exchange of ideas. Bakersfield officials and citizens have joined Wakayama in celebrating the 400th Anniversary of Wakayama Castle (1985), the 100th Anniversary of the incorporation of the City of Wakayama (1989), and the Resort Expo that marked the opening of the Marina City Resort (1994). In return, Wakayama delegations have participated in the Bicentennial Celebration (1976), and the 100th Anniversary of the City of Bakersfield (1998). Visitor “home stays” with hosts and hostesses in both Wakayama City and in Bakersfield have been the key to enhancing cultural exchanges on many visits. Individuals in Bakersfield and in Wakayama have had the opportunity to develop deep friendships with their home stay families as well as others in the host community. In addition, cultural exchanges involving various performance groups and sports teams have involved hundreds of children from both Bakersfield and Wakayama over the years. From the beginning the emphasis of this relationship has been on cultural exchanges, and especially on youth exchanges. Over the years, these exchanges have included swim, basketball, judo, and soccer teams from both Bakersfield and Wakayama. The Chipman Junior High orchestra, the Norris and Fruitvale Junior Highs orchestras and choirs, the Rosedale Middle School and Freedom Middle School orchestras and choirs, and the Highlanders Ensemble have all traveled to Wakayama, where they performed with various musical groups from Wakayama. In addition, choirs from Bakersfield High, Highland High, West High, Chipman Junior High and the Panama-Buena Vista junior highs have all visited and performed in Wakayama. In 1994, the Bakersfield Youth Symphony Orchestra performed at the Wakayama Resort Expo. In exchange, beginning in 1977, the Wakayama Children’s Choir has visited Bakersfield eight times, while the Nakanuma Ballet has visited six times. Both groups have performed free concerts for school children and have also joined local groups to perform evening concerts open to the public. In addition their have been numerous student and teacher exchanges, as well as visits by civic officials and school administrators from both cities. As any visitor to Wakayama will tell you, perhaps the most memorable sight in the city is the Castle which occupies a hill in the city’s heart, just across from their City Hall. However, even more memorable are the warm and generous people of this beautiful city. In 2011, Bakersfield and Wakayama celebrated 50 years of friendship and good will as Sister Cities. The celebration of this Golden Anniversary continued for more than a year. It began with a delegation from Bakersfield visiting Wakayama in May 2010, where they participated in the annual Wakamatsuri Parade and attended a gala dinner, where Mayor Kenichi Ohashi and Councilwoman Jacquie Sullivan–representing their respecting cities–and Dr. Nobutada Iwahashi and Mrs. Susan Stone–representing their respective Sister City committees–signed a Pledge of Friendship. In May 2011, the celebration continues when Dr. Iwahashi led a delegation and members of the Wakayama Children’s Choir on a visit to Bakersfield. During the visit, the choir performed for students at Tevis Junior HIgh School and performed with the Bakerfield College Chorale and the Highland High Chorus in a joint concert. Another highlight of the visit was an all-day Children’s Matsuri in Central Park at Mill Creek, with free activity booths and performances by groups representing each of Bakersfield’s Sister Cities as well as the Wakayama Children’s Choir. On the last evening, everyone celebrated this enduring friendship with a Western Hoedown & Barbecue at Murray family Farms. This rewarding association will celebrate Fifty Years of Friendship in 2011. 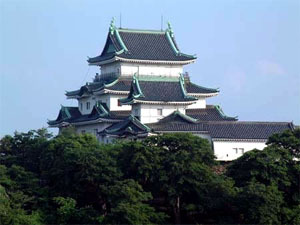 Many events are planned for this Golden Anniversary, including an official visit to Wakayama in May 2010, and a return visit by a delegation from Wakayama in May 2011.